Kayleigh McEnany is a conservative writer and a commentator on CNN. Kayleigh is a very talented and well-known media personality. Even though Kayleigh family is not involved or interested in politics, she was interested in politics since her school days. Now, she is a very well-known name in the field of media. Prior to her TV work, Kayleigh became a contributor for The Hill and columnist for Above The Law, providing textualist analysis of legal issues. Kayleigh McEnany was born on 18 April 1988, in Tampa, Florida, United States. She was raised up in her hometown Tampa, Florida along with her family. She belongs to American nationality and regarding her ethnicity, she is White American. Kayleigh is a graduate of the Harvard Law School with a Juris Doctoral Degree and Georgetown University School of Foreign Service with a BSFS in International Politics. She also studied politics and international relations at Oxford University, St.Edmund Hall. Kayleigh McEnany has been interested in politics for a long time. She once said that she has always been fascinated by politics and political commentary. Kayleigh got involved in politics when she was a high school student in 2004 and volunteered with the Bush/Cheney 2004 campaign. After her graduation from Georgetown, Kayleigh joined the 'Mike Huckabee Show' as a producer and worked for three years. Then after a while, she appeared as a co-host on CNN's "The Point" a political panel-based show. 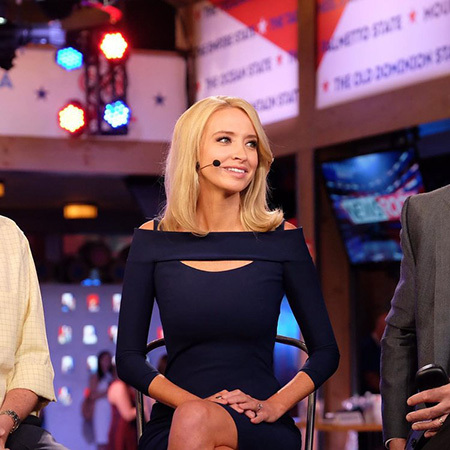 Kayleigh McEnany has been serving as an editor-in-chief and founder of Political Prospect. She regularly appears as a co-host on CNN's 'The Point'. Kayleigh has also made different television appearances. In addition, McEnany has also been writing for several publications like the Breitbart, PJ Media, The daily and Daily Caller. Kayleigh McEnany's net worth is believed to be more than $1.5 million at present. She has earned a good amount of money from her journalism career. She previously worked for CNN where her annual salary was over $40,000. She interned for several politicians including Yom Gallagher, Adam Putnam, and George W. Bush for Bush's 2004 campaign and in the White House Office of Communications in the Media Affairs department. While working on CNN, Kayleigh McEnany was called on to defend President Donald Trump, whom she supported during the 2016 presidential election. McEnany had a heated exchange with New York Times columnist Charles Blow on CNN's show CNN Tonight with Don Lemon in February 2017. In March 2017, she apologized after claiming Barack Obama was president when Daniel Pearl, an American journalist, was beheaded by terrorists in Pakistan in 2002. She had meant to refer to James Foley, a journalist who was beheaded by ISIS in 2014. Kayleigh McEnany is a married man. 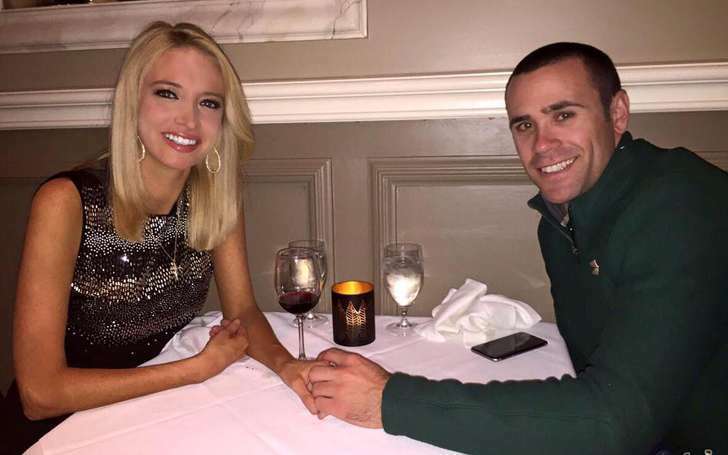 She tied the knots with her longtime boyfriend professional baseball pitcher Sean Gilmartin in 2017, in an intimate wedding ceremony. 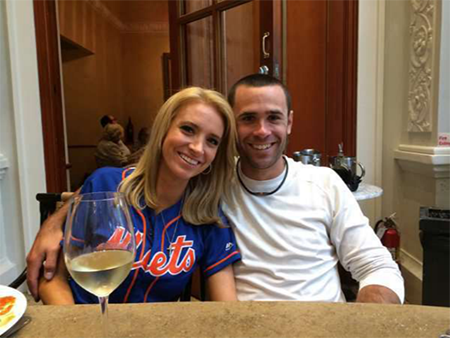 She and her husband Gilmartin dated for several years before getting married. McEnany has not talked much to the media about her personal life including her net worth. However, according to the salary reports, her salary is expected to be several hundred thousand. Rather than her personal and love life, she is more popular being the true Trump Supporter. Moreover, Kayleigh McEnany has inherited a particular gene which increases a risk of developing certain types of cancer. Kayleigh eight aunts had breast cancer and with that fear, at the age of 21, she decided to begin the process of having the preventative mastectomy. The great news for Kayleigh was when Angelina Jolie started raising awareness of breast cancer. Despite her illness, McEnany strongly portrayed herself as a brave woman. He is also active on social media like Facebook and Instagram.